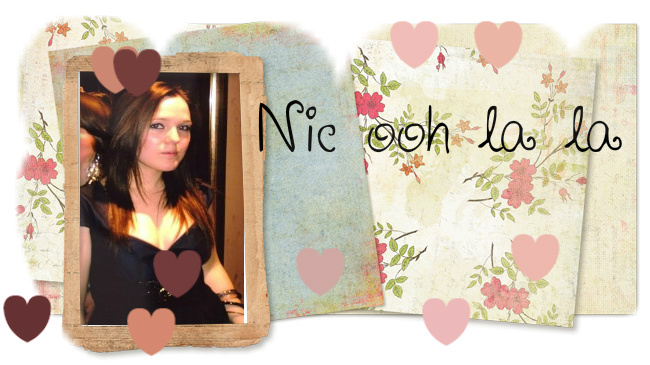 Nic ooh la la: Good Enough to Eat?? My sister bought me this Cupcake Hand Cream for Christmas (I think it's from Amazon, not too sure on the price though) and I have to say that this is one of the best hand creams I have ever used and I have used a lot. (I'm a student nurse so am forever washing my hands, a good quality hand cream is a must have!!). Not only does it have the cutest cupcake design which makes it look edible, it also smells DELICIOUS! I don't normally like cherries or cherry smelling things but this (and cherry hubba bubba, do you remember those?) are the exception! The sprinkles look more like beans in this photo, serves me right for trying to do an artistic close up haha!! I find my self applying this cream for no apparent reason just so that I can smell it, the hand cream itself is fast absorbing, non greasy, really moisturising and a little bit goes a long way. I ♥ this hand cream it is officially my favourite one just down to the scent, Soap&Glory's Hand Food is a close second. I've also tried Elizabeth Arden's Eight Hour Hand Cream and although it is perfect in pretty much every way the scent just doesn't compare to my new cupcake. Do you have any hand creams that you can recommend? ♥. That is so cute! What a lovely gift! !